Because we love that you are hear reading about us, e are giving one lucky reader one of our newest black and aqua Big Sister Tees. (Available in 2T and 4T.) Leave us a comment with the city and state where you live AND your favorite thing about Resa Design.com. Be sure to include your email address if you are unreachable through a direct link. One comment will be choosen at random on 4/18/08. Please comment by 9am CST. Be sure you sign up for our blog mailing list so you don't miss out on other 'blog only' giveaways, coupons, or sales! I love the prints on the dresses!! They are adorable!! 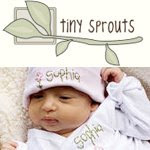 Please enter me, my daughter is a 4T and she has a little brother coming this summer, this shirt would be perfect!! Lately I've been browsing the boys' styles and fashions for my little man, b/c I went a little overboard with my daughter...BUT I can't help but love the Anna dresses on your site! My favorite dress prints are the clay and opal! The custom fabrics are beautiful and so much fun. I love the pretty dresses and the birthday appliques. Roo has the brown and pink big sis tee but the black and blue is tuff! 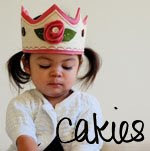 I love the uniqueness of your styles -- we live in a small town in the south where everyone seems to look the same -- so your designs are a perfect addition to my daughter's wardrobe! 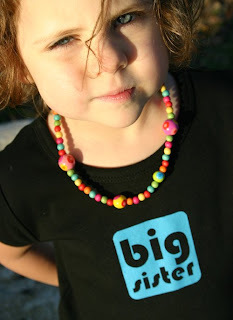 Ellie would LOVE to win the big sister tee in the 4T -- we just this week announced that she's going to be a big sis! I love your fun, bold patterns. I only have one child, but I'm sure she would love a Big Sister tee for when the next one comes around! What a fun site you have. The variety of items is great. If I could, I would probably own one of everything. Your prices are reasonable, too. I really like the patterns of fabric that they choose for their products. You can tell they are high quality. I really like the big brother and big sister shirts as well. They are super cute. I love the simple & fresh, yet colorful designs of your clothing. This might seem a silly thing to love, but I love the fact that there aren't too many products. Some shops offer so many products that it is overwhelming. The ones you do have are adorable, especially the prints on the burp clothes. 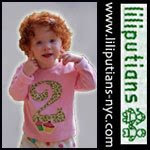 I would love to win a big sister tee for my 2 year old grandaughter. What I love best about Resa design . . .
First, I love that you are a mom that creates things for your family and people you care about. People that make things in that way usually make the best quality items. I have been shopping online for a while now, and have just recently come to LOVE independent shops. I actually can't remember the last time I went into a big box store to shop. 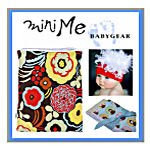 I like the personalization and at-home quality that people like you bring to the world! Second, your modern designs are awesome! Besides your mom tips, I love your dresses. They are exactly the kind of dresses I buy for my daughters. I love Resa Design as a gift for newborns. It is something so personalized and unique! You can change it up a little every time too! I love the custom letters to make it personalized! I love the hot dot black baby gift set. 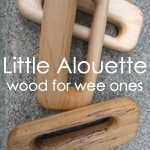 It would be wonderful to win something like this for my best friend who is due in July. All I wanted to say is that the scrumptiousness of this: shirt's bold colors, little model's cute facial expression, beaded necklace is almost more than I can handle. I love it!